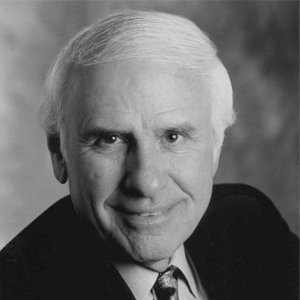 Jim Rohn (September 17, 1930 – December 5, 2009) was an American entrepreneur, author and motivational speaker. His rags to riches story played a large part in his work, which influenced others in the personal development industry. For more than 40 years, Jim Rohn honed his craft like a skilled artist-helping people the world over sculpt life strategies that have expanded their imagination of what is possible. Those who had the privilege of hearing him speak can attest to the elegance and common sense of his material. It is no coincidence, then, that he is widely regarded as one of the most influential thinkers of our time, and thought of by many as a national treasure. Jim authored countless books and audio and video programs, and helped motivate and shape an entire generation of personal-development trainers and hundreds of executives from America’s top corporations. Jim Rohn influenced a generation of self-help gurus and this book lays out his "five major keys for the life puzzle." We'll take a quick look at your life philosophy, what you're doing with the 86,400 ticks each day, how to finish before you start as you design your ideal life and other such goodness.